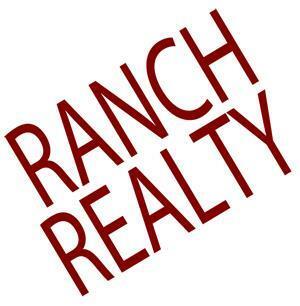 Ranch Realty can help you find rental homes in 85258, 85260, Gainey Ranch, McCormick Ranch, Phoenix or Scottsdale. They have a comprehensive portfolio of rental homes and they will likely have one that fits your criteria and budget. A good place to start your search for a rental home is on your realtor’s website. You can search using various parameters such as location, price and size. For example, you could search for a bedroom rental homes in Scottsdale between $1000 and $1200. Or you could search for a 1-bedroom condo in McCormick between $600 and $800. There are many parameters you can use to refine and narrow your search for rental homes. These include area, zip, address, property type, price, beds, baths, garages, year built, acerage and more. You can even use your own keywords such as schools or shops. Once you have narrowed you search to 2 or 3 properties its time for home or site inspection. Your realtor at Ranch Realty will arrange your home inspections and they can also advise you as they have intimate knowledge of local conditions and related matters. Once you have found the right rental home your realtor will help you sign the lease, collect your deposit, get any defects fixed and so on. If you are a landlord and own one rental homes in 85258, 85260, Gainey Ranch, McCormick Ranch, Phoenix or Scottsdale, then the team at Ranch Realty can help you with complete property management. This includes finding and screening tenants, taking care of paperwork such as leases, collecting deposits, collecting monthly rentals, soring out defects as well as home inspections and more. When you need help with rental homes in 85258, 85260, Gainey Ranch, McCormick Ranch, Phoenix or Scottsdale, whether as tenant or landlord, you need look no further than Ranch Realty.